Your dog’s health begins with good nutrition. Unfortunately, commercial dog food is highly processed, which poses a question for dog owners – is there something missing from the dog food I feed my pet? Based on these concerns, a growing number of people give their dogs supplements to make up for potential shortfalls in their diet. In fact, two-thirds of dog owners now offer their canine pals some form of supplement. In addition, a growing number give their dog supplements specifically formulated to treat certain problems in dogs such as achy joints, skin issues, obesity, itching, bad breath, fur problems, and low energy level. Most people assume that supplements, both human and pet, are safe. Otherwise, they wouldn’t be on the market, right? That’s simply not the case. Supplements aren’t regulated in the same way medications are. They don’t undergo extensive testing before they reach the market as drugs do. The FDA only takes action when there are reports of safety issues with a particular supplement. Veterinarians and dog nutritionists are also on the fence about whether dogs even need supplements. Ideally, a dog should get all of the macronutrients, vitamins, and minerals they need from eating high-quality dog food. Most veterinarians agree that whether a dog needs supplements depends on the dog, their age, health history, their activity level, and the type of food they eat. 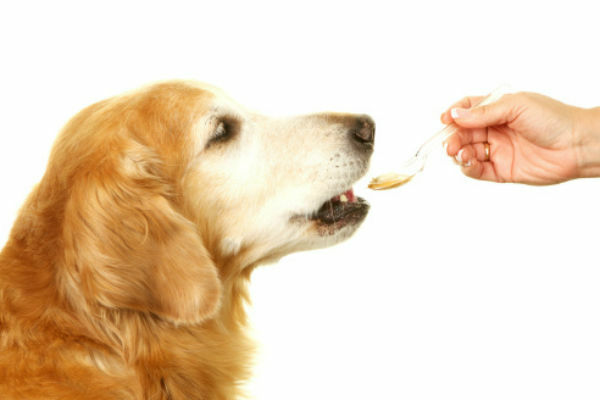 If a dog eats nutrient-dense, high-quality dog food, additional supplements may not be necessary. That’s why choosing the right dog food is the first priority for maintaining a dog’s health. These days, you can find a variety of dog foods designed specifically for dogs of certain ages and even dogs with certain health problems, like arthritis or kidney issues. Only after researching and choosing a nutrient-dense dog food should a dog owner consider the possibility of adding a few, well-chosen supplements. Even then, it’s best to discuss supplements with a veterinarian who knows the dog’s history. Certain medical conditions may increase the need for nutrients that can be supplied with a supplement. For example, some dogs with skin conditions may derive benefits from essential fatty acids or omega-3s. Dogs with achy joints due to arthritis may benefit from certain supplements that reduce inflammation, like fish oil, or support cartilage health, like glucosamine and chondroitin. Are There Risks to Giving Dog Supplements? What harm is there in giving dog supplements? Most dog owners only see the upsides of supplementing. However, when you give too much of a particular vitamin or mineral, it can negatively impact the absorption or activity of another. This can lead to an imbalance. For example, giving a calcium supplement reduces the absorption of other minerals, particularly magnesium and zinc. Plus, some vitamins and minerals can be toxic to a dog in high doses. Two that you shouldn’t give as a supplement without consulting a physician are vitamin A and vitamin D. These vitamins can build up in the body if you give too much. Iron supplements are problematic too as a dog can’t easily eliminate excess iron. There’s another point to consider. If your dog takes medications, certain supplements (particularly herbal supplements) can interact with them and cause adverse effects. Even omega-3s in fish oil can affect the activity of some medications, particularly blood thinners. Also, omega-3s alter how quickly blood clots and can lead to excessive bleeding if your dog undergoes surgery. When you buy dog supplements, be aware that they may not contain high enough of the active ingredients to have benefits. Plus, some may contain too much or contain other ingredients that aren’t listed on the label, including toxic components like heavy metals. Independent testing firms, like Consumer Lab, tests human and dog supplements, and they frequently find supplements that don’t contain what they say they do. For example, they found that only 28.6% of the pet multivitamins they tested contained the ingredients in the quantities listed on the label. They also find ones that contain things that aren’t listed on the label. One concern about using dog supplements is that self-treating with supplements might cause a more serious health condition. For example, you might assume your dog is having trouble climbing stairs because they’re arthritic. In reality, the dog could be suffering from muscle weakness or spinal problems that if not properly diagnosed and addressed could lead to more serious health issues. Supplements should never be a substitute for medical care and it’s not a good idea to self-diagnose a dog afflictions. Only a veterinarian has the expertise to do that. Before buying a dog supplement, discuss the issue with your veterinarian. They may want to conduct blood tests to see if your dog has a deficiency or has a condition that could benefit from supplementation. Then, choose a supplement from a reputable company. A trustworthy supplier that practices good quality control should have a contact number on the bottle. Call the number and make sure you’re talking to a real company. Then, check with some of the independent testing sites, like ConsumerLab.com, to see if they’ve tested the dog supplement you’re considering. Also, be aware that even a reputable supplement won’t necessarily work for every dog. Each dog is different and how they respond to supplements will vary with their age, breed, diet, and other health issues. Dog supplements are growing in popularity but that doesn’t mean your dog necessarily needs one. Talk to your veterinarian and research supplements before giving them to your dog. Safety first! To learn more about the safety of dog supplements, check out The Upsides and The Risks.